Find an event near you and start growing closer today. Learning how to love better can be fun! Whether you’re looking for a weekend conference, a romantic evening out, or a full-blown vacation, Dr. Gary Chapman offers a variety of speaking events designed to help you and your loved one put the wisdom of The 5 Love Languages® into practice. 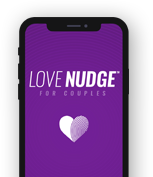 Every year, thousands of couples nationwide attend to build on the principles of The 5 Love Languages® and to gain new insight into their relationships. Interested in bringing one of these events to your area? Click the link to host an event.